Why Choose The Waste Company? We are as committed to our customers and suppliers as we are to sustainability, with a passion to strive for constant innovations for environmentally-friendly waste solutions in the UK. Our aim is to collaborate with our customers across multiple private and public sectors, actively committing to reduce construction waste and improve recycling efficiency. Have more than one site? We can continue to partner with you in multi-site management. In this way, we are working together to make a difference within the construction industry. 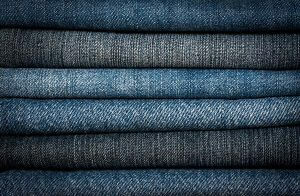 A Pair of jeans includes an average of 8 recycled plastic bottles. We grow ourselves by building upon our core aspirations. We create an evolutionary culture within the waste sector that puts our customers in the forefront and empowers our people for the future of waste management. The core of who we are is the people we serve. We are passionate about our customers, their expectations and our desire to provide practical waste solutions. We are so passionate we’ve chosen to do it for a lifetime. Cultivating potential among people, creating opportunities for personal and business growth. We are constantly pushing forward to discover how best to serve one another and the waste management industry at large. Taking calculated risks to further our market sector through strategic business development. Embracing positive change and empowering the waste industry within the marketplace. "To equip people who drive the waste industry forward through the innovative ideas and technologies of tomorrow’s thinking. Harnessing dynamic solutions that change the way we see waste management pushing forward to a cleaner, brighter future." Are you looking for national waste management solutions in the UK? The Waste Company is a National Waste Management Broker. We offer complete and bespoke waste solutions in the UK for all your construction waste, from hazardous waste management, commercial, domestic, clinical, full site clearance to name but a few. Prince Charles and Camilla: Sea, Surf and No Plastic! © Copyright The Waste Company UK (Ltd.). 2019. All Rights Reserved.